Here is the first map of Mindanao Provinces. 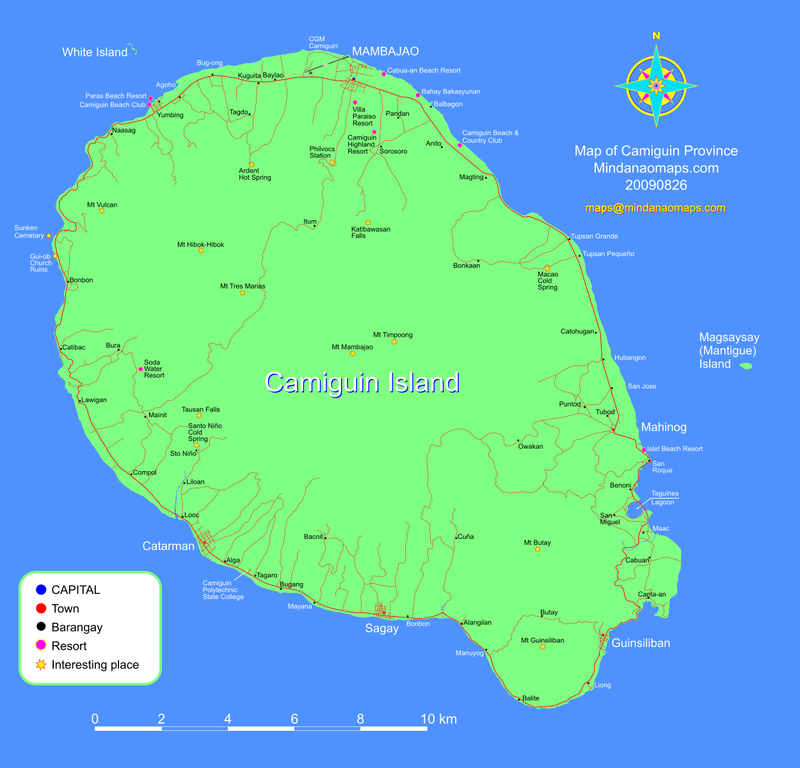 Camiguin is an island that belongs to the Northern Mindanao Region – Region X. The regional center is Cagayan de Oro City. Click the image for map in pdf format or click here for map in png format.